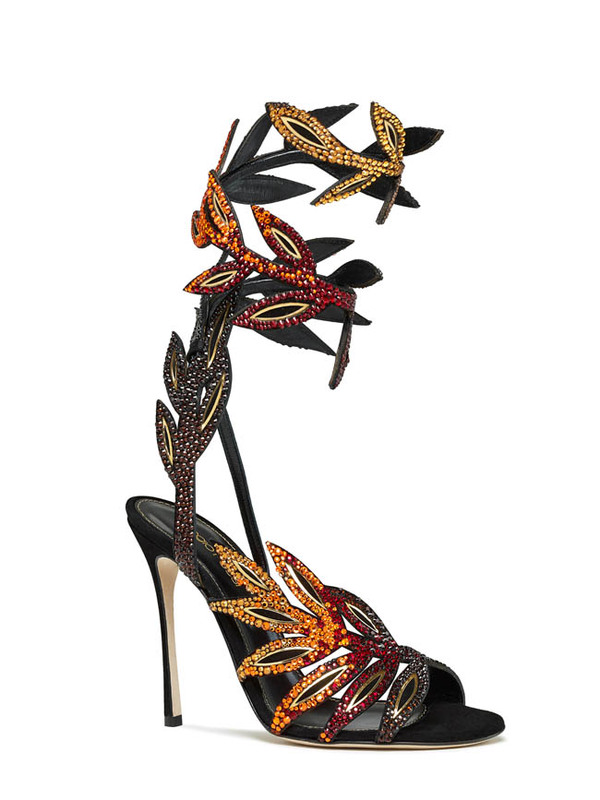 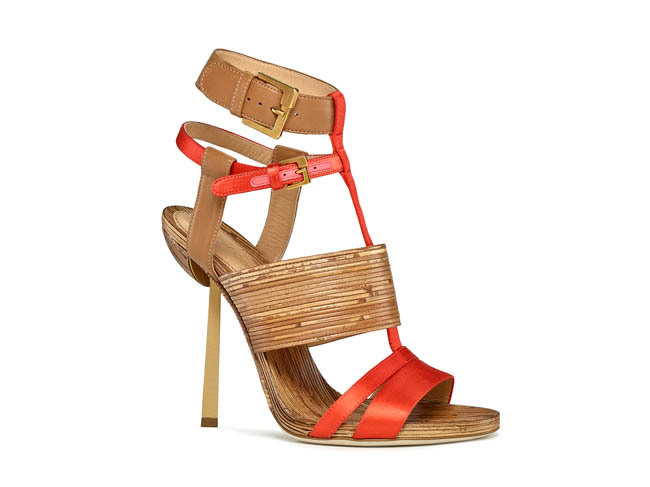 Rossi’s Artisan Sandals – Italian shoe label Sergio Rossi finds inspiration in the early seventies for its spring 2014 collection presented last week during Milan Fashion Week. 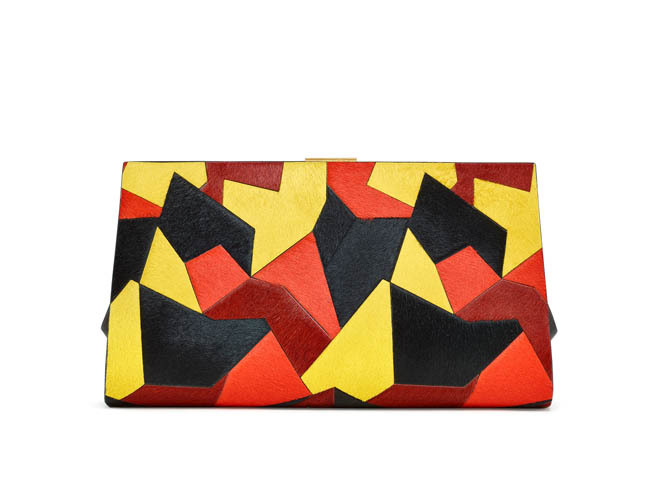 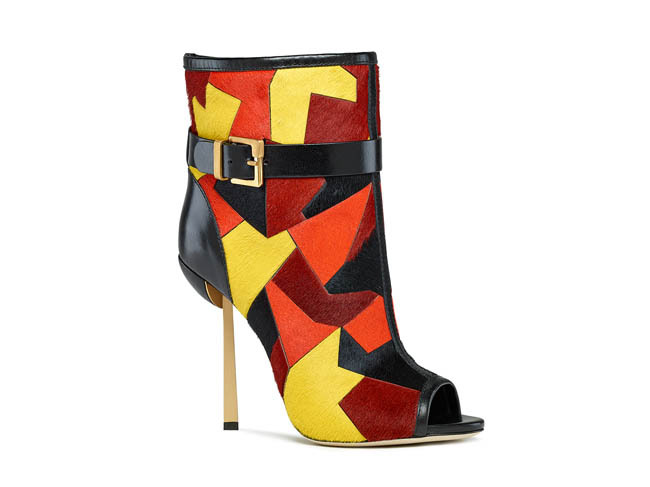 Here we have a preview of the new season which focuses on sandals made with bold and eclectic prints. 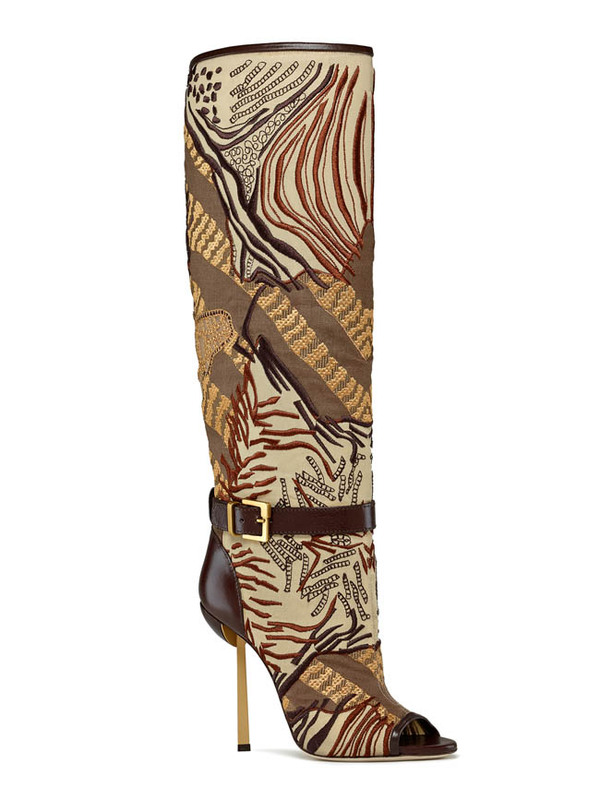 Gladiator, sculptural and boot-style sandals have an earthy color palette with leaf, wood and zebra print details.